The natural way to party! 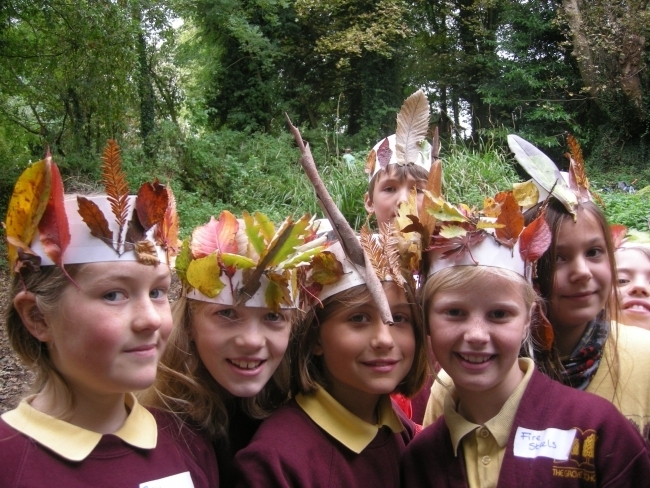 Celebrate in true woodland style with campfires & cook-ups, dens & woodland games. For ages 2 - 14 years. School holidays can be boring - but not when they're wild! Woodland Adventure Club is THE most adventurous holiday club around. Our Education Groups teach children & young people about the woods, wildlife and give an appreciation of nature. A weekly toddler group for ages 0-5. 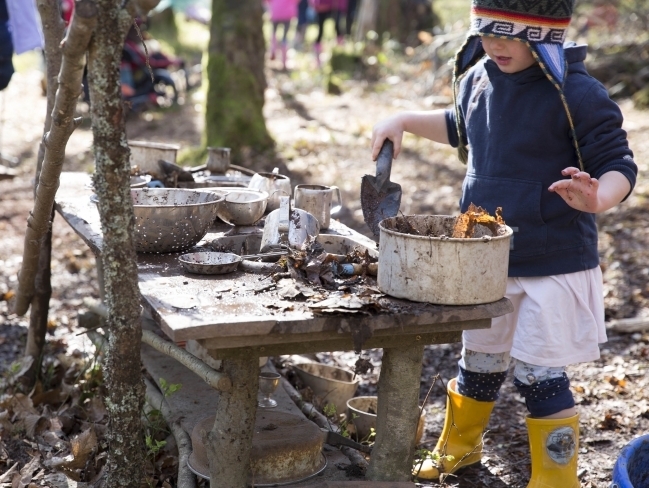 Play, explore and get muddy with your Wild Tots as we take part in exciting Forest School adventures. 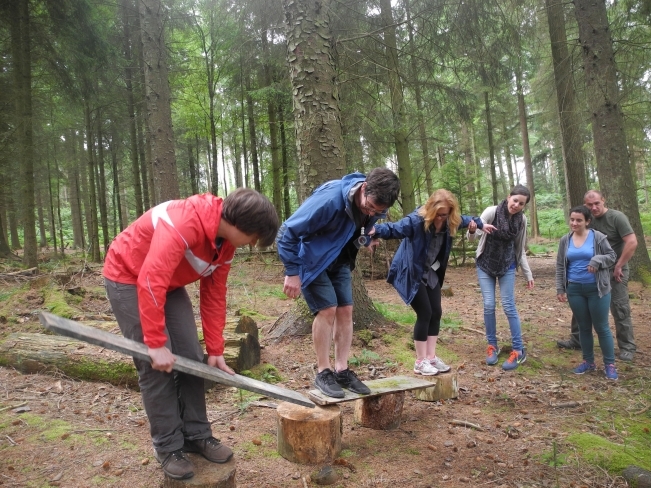 Bespoke Bushcraft challenges for your corporate away day or team building event. Half or whole day, join our passionate instructors and get deep into the outdoors. Keep up to date with our woodland diary with news from the team at A Touch of the Wild! Join the Wild Tots at Grammarcombe Woods, a weekly toddler & pre school group for ages 0-5. 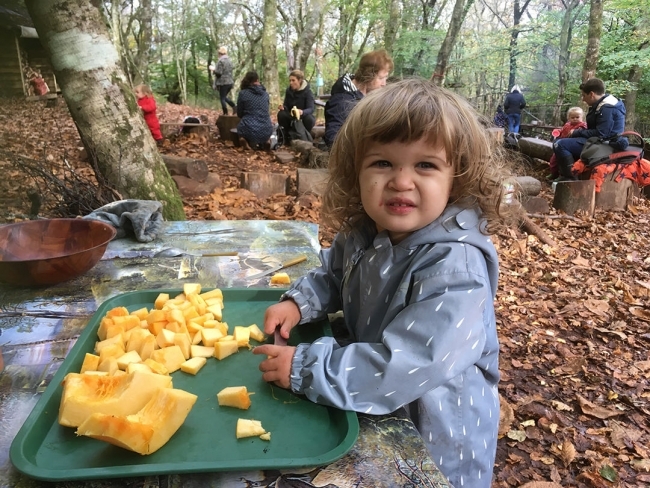 Your toddler or pre school child can play, explore, and best of all get muddy as we take part in exciting woodland themed adventures, have fun and get closer to nature. A lovely fun filled day in the woods. My son attended 3 sessions and did different activities on each day. There wasn’t a DVD, Xbox or DS in sight!! After the first day my 6 year old said he wanted to go the the Woodland Adventure Club everyday for the whole holiday, so I’m guessing he liked it! The staff were also very accommodating and inclusive of my older son who has a mobility disability. A great holiday club. Went in the hammock and pond dipping and I picked up tadpoles and fish eggs. When we sat out in the sun having our lunch, we can hear the birds sing and see the cows and hear them mooing. Quick note to thank you and Hannah for such a fantastic day and amazing food. Really enjoyed it and can’t wait for my spatular to dry and being able to use it. They loved following the flour trail, playing hide and seek and especially the marshmallows! Mud kitchen was also a big hit, and they have enjoyed the bouncy net and swing. Cracking day with @touchofthewild trying green woodworking. Absolutely loved it, can’t recommend enough. 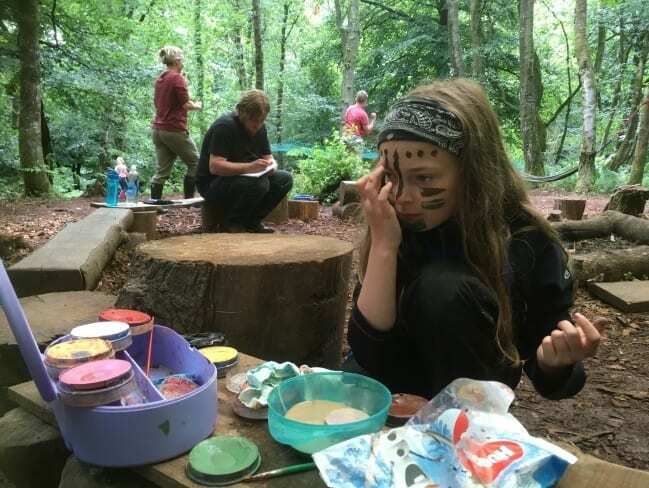 We picked possibly the wettest weekend in March for our five year old’s woodland explorer’s party, and yet Hannah’s empathy with the imagination of little people and her passion for the forest meant that spirits were not at all dampened by the weather. 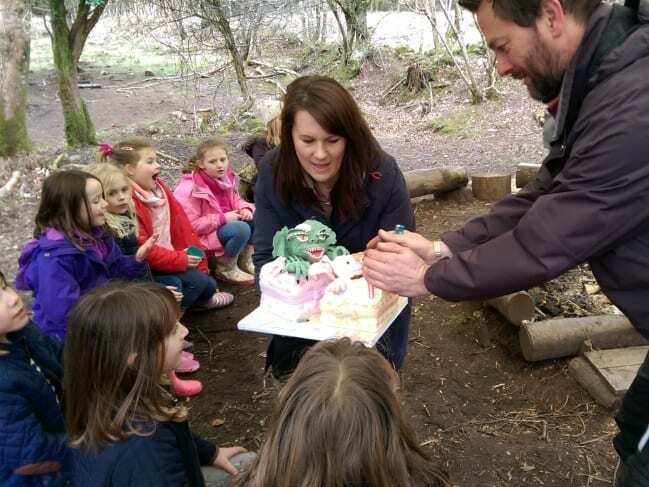 Hannah’s experience in engaging children in confidence inspiring activities is abundant, and the delight on the faces of children and parents alike at the joys of toasting marshmallows on an open campfire was lovely. Whether you take inspiration from the “Magic Faraway Tree”, “Chronicles of Narnia” or “Swallows and Amazons” a woodland explorers birthday party has some of the magic of all. Can I just say how excellent the whole party was. Hats off to the guides they were fantastic. The children said it was the best ever party they had been to thank you. You will see us again.